The newspaper industry has been around for decades, and it's time to disrupt it. Traditionally, news has been controlled in the hands of a few: trained editors and writers at established media houses. We believe the Internet and mobile technology are changing all of that. The onset of YouTube and other sites have enabled the democratization of content. We are not a traditional newspaper. We want to represent and be the best source people go to for interesting stories on the Internet. We hope that by leveraging today's latest technologies we can spread these stories across the world in a way that has never been done before and at a speed that has never been achieved before. We hope you can support us in our journey. SFG began when three close friends from Stanford, UC Berkeley, and UPenn recognized the broken media landscape. They saw the growing trend towards newer forms of content and recognized a space that has yet to be truly disrupted and built from the ground up with technology. 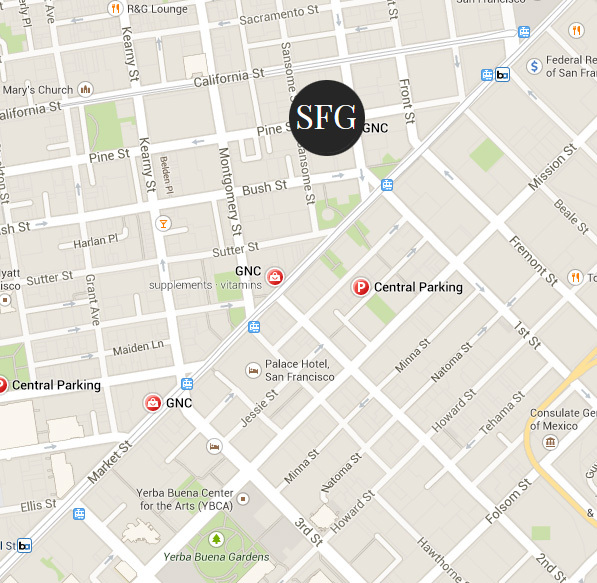 Started in the very heart of San Francisco, SFG began as an experimental prototype and has now taken a life of its own. Initially, the team had focused on the best hand-curated content. Now, the company is moving into original written pieces and video production. Our team culture is unlike most startups in Silicon Valley. We believe in using technology to empower people, not replace them. We recognize the value of the human touch in the process of creation as well as in day to day operations. Although we mercilessly seek efficiency through automating tasks that humans should never have to do, we avoid using software to interfere with tasks that humans should always be involved with. We are data-driven, results-oriented, and meritocratic. We don't like the status quo. We also like having fun with each other from murder mystery nights to happy hours to weekend trips.